Have a question for Middleton Apartelle? 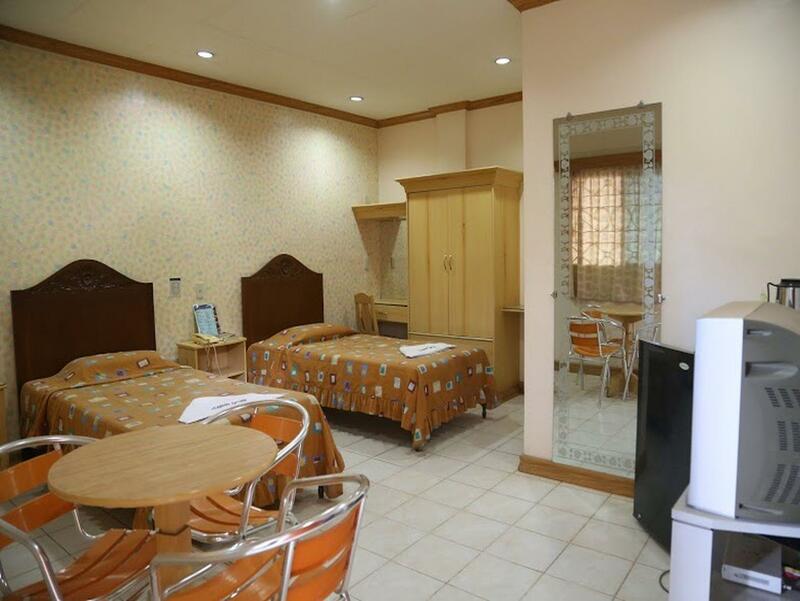 For travelers who want to take in the sights and sounds of Cagayan De Oro, Middleton Apartelle is the perfect choice. From here, guests can enjoy easy access to all that the lively city has to offer. 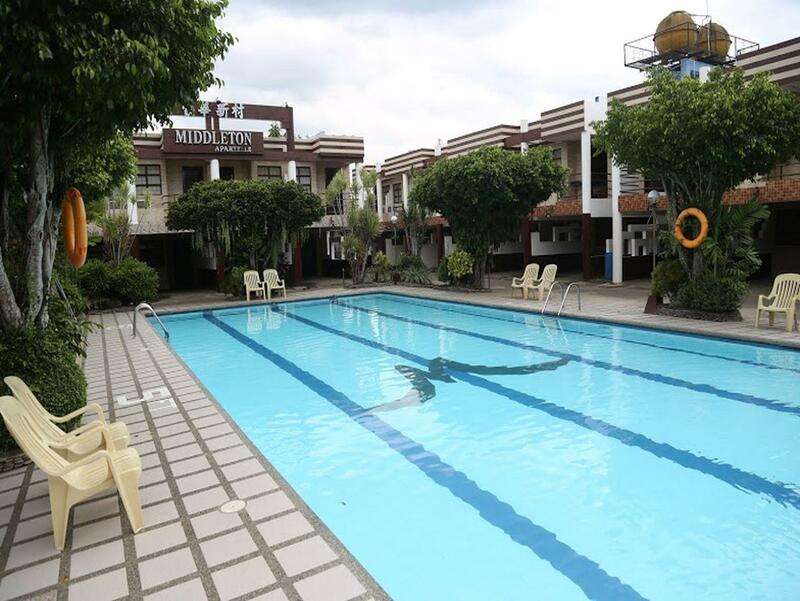 With the city's main attractions such as J.R. Borja General Hospital, City Hospital, Carmen Public Market within close reach, visitors to the hotel will just love its location. At Middleton Apartelle, the excellent service and superior facilities make for an unforgettable stay. Guests of the hotel can enjoy on-site features like 24-hour room service, Wi-Fi in public areas, car park, room service, airport transfer. The ambiance of Middleton Apartelle is reflected in every guestroom. towels, air conditioning, television, satellite/cable TV, refrigerator are just some of the facilities that can be found throughout the property. Throughout the day you can enjoy the relaxing atmosphere of the outdoor pool, garden. When you are looking for comfortable and convenient accommodations in Cagayan De Oro, make Middleton Apartelle your home away from home. It's quite difficult to locate. The parking area is spacious and safe but many parts of the establishment are in disarray and some need repair. Good value for money, spacious room but the hotel have been operating for decades already and clearly needs to catch up in time for an upgrade. Yes the room was flooded! It was really disappointing because my daughter slipped on the floor. We were transferred to a smaller room and still not worth the time. Not sure if I'll be recommending this as facilities are outdated. It wld b great if they hav skycable/ channels and wi fi in their rooms..
Not enough information in regards of amounts to be paid, not enough communication between customer and front desk...dis.satisfactoryin terms of additional payments, you always have to pay everytime you acquire for their service, they should do it on check out time , the payment to access the pool is expensive...they put rules on the pool but ther never empliment it to everyone to their cutomer,they just neglect it to special customers.. The unit was rundown and old. It was not maintained well. The mattress is scary, there might be bugs :( and the linens are scary to use as well. The kitchen is not ideal. I don't feel like cooking on the present condition. The reservation is for 5 people therefore towels should be 5 and NOT 2. We should not pay extra for a 3rd of so towels if we're not stealing. There's room for food selection and quality. Presentation could be better and not look like at the Karenderia. Pool is alright. it was very disappointing! i remember as little kids we used to stay in middleton when in cagayan deoro and i only remember i had so much fun there. but it changed when we arrived december 28. i booked at around 4pm and we arrived at 9pm and discovered that the rooms we booked were unavailable. the front desk made us wait for over an hour to give us another room. didn't even offer us anything to drink while waiting. she even looked like she doesn't know what she is doing and had to call people. the worst part is when they finally had a room, they only gave us rooms that can accommodate only 8 people while on my booking was 3 rooms that can fit 12 people. it was a very exhausting wait because we came from dipolog and all we really wanna do is go to bed and sleep soundly. ugh. i don't think we're ever going back there! Me and friends loved it. We enjoyed the food and the rooms except for some issues on the cable TV at that time. Rooms looked quite old though but clean. Far from the city proper so we did not dare to walk outside at night. Fast internet only by the lobby and the poolside. No internet inside the rooms. Make sure you arrange for airport pick-up/ taxis ahead since travel time to the airport is around 30-45 minutes (no traffic). Food was great. BIG and spacious rooms. BIG and nice clean swimming pool. We only stayed there for a few hours due to an early flight. But I must say we enjoyed our stay here. First, their resto food was awesome. Super value for money. Try the chicken with garlic sauce and chopsuey. We only paid 900 for 7 people for a dinner by the pool. Their swimming pool is huge and clean. We enjoyed dipping in the water after our dinner. Reception was very warm. If you have an early flight, make sure to have arrangements with the hotel for pick up since taxis are usually available around 6am. Hotel is 30-45 minutes away from the airport. Would recommend this to friends for future travels. Not satisfied! The hotel rate wasn't been updated in agoda and I have to pay extra for the difference, and there's one staff in the front desk that is not know how to handle costumers, she's not friendly! The hotel mgnt. Should teach their staff how to smile! best for family gathering coz of the big rooms and the easy access to swimming pools. it is okey for a short stay since this is just a jump off point to our final destination in Camiguin. I refused to even set down my luggage,got right back into the taxi and went back to the hotel I just checked out of.The front door would not close,broken windows, bugs everywhere,including the bed and pillows. sheets were obviously used by someone else.Shower not working,T.V. not clear,Cable not working,no seat on the toilet.Pool was disgusting and green could not see the bottom of the pool. Staff sleeping on furniture pulled out of rooms.Quite frankly,looked abandoned and occupied by squatters.Just awful. 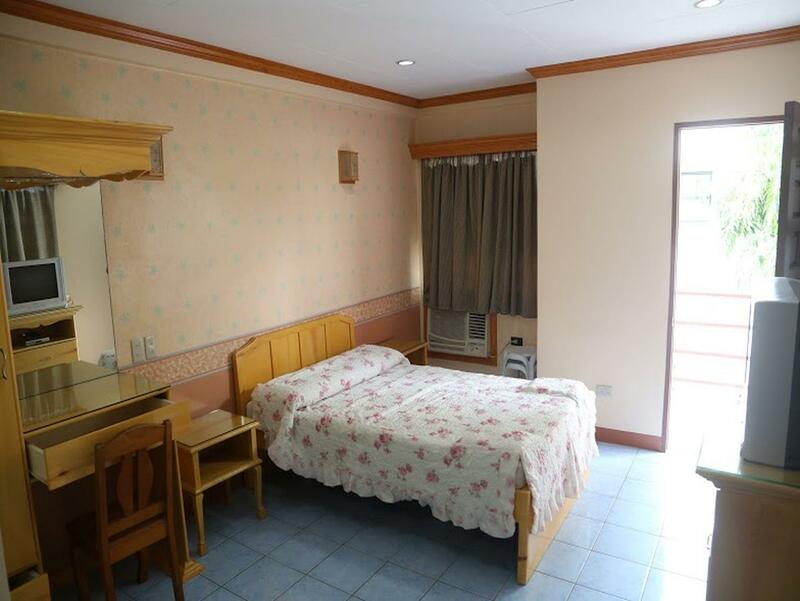 Staffs are nice and hospitable, rooms are big, swimming pool is clean. on the internet website, it looks like a brand new and well mantained hotel resort. In fact, it is quite older as it appears on the picture. the only room type, which is worth to book, is the apartelle. the honeymoon suite is a farce, located in a dark hallway, very old furniture, no daylight at all and nothing you would expect from a honeymoon suite. the staff is very friendy and tried to be helpful, even it does not work all the time. die wifi signal only works in the non aircon lobby, which is at the same time the restaurant. breakfast is not included. As on the photos, the pool is the main attraction. This would be true, if the pool would be mantained on a regular basis.In fact, it seems, the pools does not have a cleaning circulation system and during my 6 nights stay I never saw somebody cleaning the pool. Thats the reason, the walls from the pool are covered with dirty greens algs and the water does not look clean also.